Perusing online tours of beautiful Scandinavian homes can be an addictive, and envy-inducing, pastime. Though you may not be able to import their high ceilings, period features, or masonry heaters (those cylindrical white corner fireplaces that I endlessly covet), you can certainly create your own replica of the Scandinavian look with the right furnishings. Figuring out where to find certain pieces can be tricky, so I'll round up some popular Scandinavian-style pieces, and tell you where you can buy them in the US. 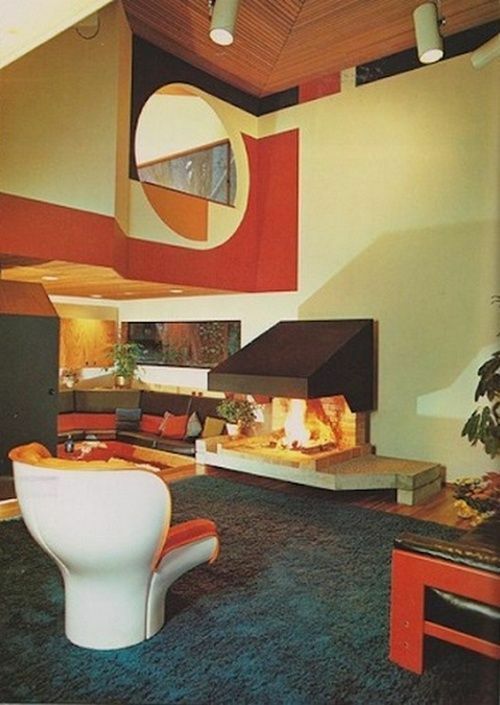 Vintage Eye Candy: 70s Interiors That'll Make You Say, "Groovy, Baby!" The distinct colors, shapes, and textures of the 1970s give interiors from that era a unique energy. Currently, the decade's distinct vibe is coming back, and influencing current trends in a big way. Yes, 70s style might be considered over-the-top now, but comb through examples from that era and you will find pieces and inspiration that will bring new liveliness to your space all while fitting in to your current decor. Keep scrolling for some rad eye candy! If you've ever lived in an apartment or a really tiny house, you probably understand the struggle of a tiny outdoor space. 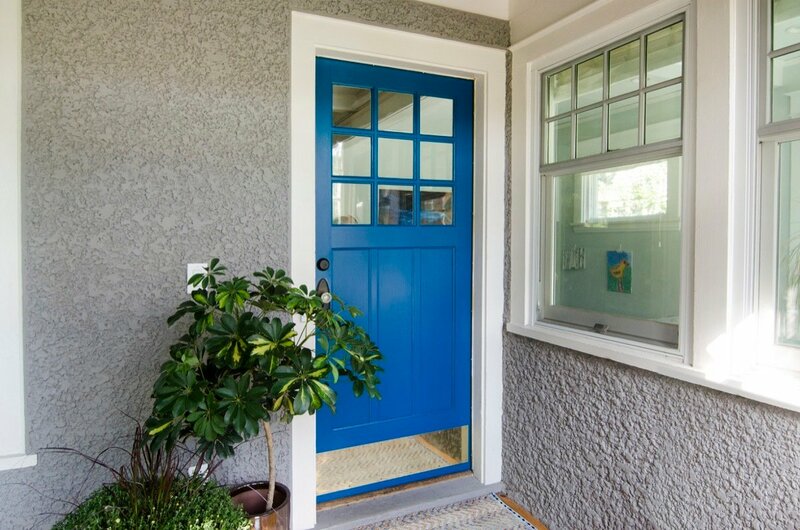 Generally, tiny porches are the only type of porches you'll find with an apartment. While a tiny porch is better than no porch at all, sometimes you have to get creative with the small space you have with small balcony furniture and space saving solutions. Luckily, I've rounded up a bunch of ways to make the most of your tiny porch this summer, including DIYs, storage solutions and just plain cute pieces to add to your porch. Painting a room with an indoor paint sprayer sames time and results in a more consistent finish. Here's how we used one to transform a spare bedroom. One of my favorite things about interior design and home improvement is discovering tools that help us do our job better. Painting is one of those jobs. We paint things all the time - walls, furniture, floors, baskets. Why? Because nothing transforms a space (or an object) quite like paint does. It's tempting to think of minimalism as a "must do" trend. There's been so much chatter online, in books, and on podcasts about it lately - it's seemingly on everyone's mind. Minimalism is getting maximum exposure! For those new to the concept, it's also all too easy to peek at any of that material and feel immediately overwhelmed. The home decor world is operating mostly in throwback-mode right now. What used to be tacky is now tasteful, and looking dated doesn't matter as much. Walk into any big box store like Target, West Elm, or CB2, and you'll see interpretations of designs and color schemes that originally surfaced over 30-40 years ago. From the resurgence of treatments like terrazzo to the re-introduction of wicker, what's old is new again. If you're like me, you've noticed a familiar pattern pop up. And if you're like me, it's making you gleefully reminiscent. I'm talking about the bold and bright world of Memphis design, and its colorful impact on the 80s and 90s. I used to own this cup and saucer set. It was white with a yellow border - I found it at the thrift store. The handle of the cup was comfortable, and the saucer large. I loved it. I loved it in a way that it seemed to make my coffee taste better in the morning. One day, my yellow cup met a fate that many ceramic dishes face. It was dropped, and the cup cracked. The vessel was still usable after its accident, after a bit of gluing. But it never looked the same again. A piece of the ceramic was missing, a chunk gone. I still held onto it, because I loved this cup, and life happens, you know? This is, roughly, the definition of wabi-sabi. Have you ever dealt with an achy-breaky back? If you haven't had the misfortune yet, I hate to say it, but you probably will. Not-so-fun fact: About 80% of Americans will deal with back pain at some point in their lives. For some, it's just a pulled muscle, but for others, it's much worse. As you age, it's the little movements and activities that lead to spinal disc deterioration. But it's not all bad news! From furniture placement to purchasing the right kind of tools, you can structure the layout and function of your home to keep your spine healthy. Here are a few adjustments you can make to your home for back pain relief, and to maintain the health of your spine. Working from home can be a curse and a blessing. The curse part is that you're at home and home things are always beckoning you away from work, and vice versa. One sure thing is that if you have a room to call your own, you need to make it an attractive and efficient space where you want to spend time. And if you've just blown the budget on a new furnace, don't worry, these tricks cost practically nothing. When we started Curbly in 2006, saying that your job was 'blogging' was a recipe for confusion. Lots of people didn't even know what a blog was. Fast forward a decade or so, and blogging as a profession is so well-accepted that you probably have a blogger or two living in your own neighborhood. That why we were excited, but not entirely surprised, when we discovered that prolific food bloggers Bjork and Lindsay Ostrom, from PinchofYum, lived about a mile from us. Bjork and Lindsay are famous for their gorgeously-photographed recipes (their chocolate-chip-cookies are the best), and for helping hundreds of new bloggers get their start through their FoodBloggerPro program (seriously: it basically teaches you to be a blogger). Today, we're excited to share a tour of Bjork and Lindsay's bedroom, which they recently finished remodeling. When we met up with these two to talk about their space, they were well on their way to designing it. They'd chosen paint colors, laid flooring, and picked out the major pieces, so styling was the main thing they were looking for help with, and we were more than happy to oblige. We've been painting rooms at Curbly for over a decade. And, we've gotten pretty good at it. We've done straight-forward walls and we've done full-scale murals - and almost everything in between. Through it all, we've learned that good prep, good paint, and quality tools are the magic trifecta. We're making headway on the Curbly House and the next two weeks will bring about a big leap in the transformation we've been dreaming about. We spent much of the last week trying to finalize our choices for kitchen cabinetry, countertops, appliances, and fixtures. While the room reveal won't be ready until later, I wanted to share a peek at what inspired the design. Well, folks, it's official! Jon* and I signed the closing papers last week, and we are now the proud owners of the new Curbly House! Now all we have to do is put in a new kitchen, renovate the bathrooms, add a new back door, replace the HVAC, finish the basement, improve the landscaping, and figure out how to get a parking space into the back yard! No biggie. 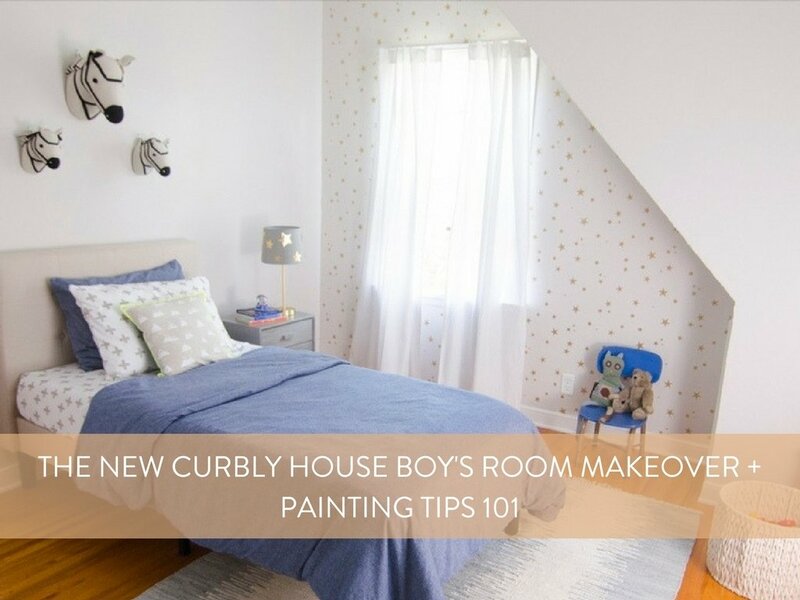 Earlier this week we told you all about our new Curbly House makeover. A house we're so excited to take on, get to know, make beautiful, and then put on the market again (furnished and polished and perfect). This year for Sherwin-Williams National Painting Week, we tackled a community-based art project that exceeded all our expectations. We combined our favorite paint colors, our favorite community, and our favorite group of kids to create a Kids' Art Crawl! We wanted to get kids thinking about the role of art in their community, and make them feel special by putting their artwork up in a real gallery setting. It was sweet and moving, and we can't wait to tell you all about it. Sometimes, when I'm online, I'll scour the web for perfectly designed homes. Okay. I do it all the time. My head almost exploded from all the beauty that is this gorgeous home in Fort Collins, Colorado. You HAVE to take a look. Today we roundup 10 amazing craft room makeovers. These before and afters will inspire you to think about your own creative spaces, transforming them from drab to fab by utilizing space, color and textures to provide warm and inviting spaces in which to create.